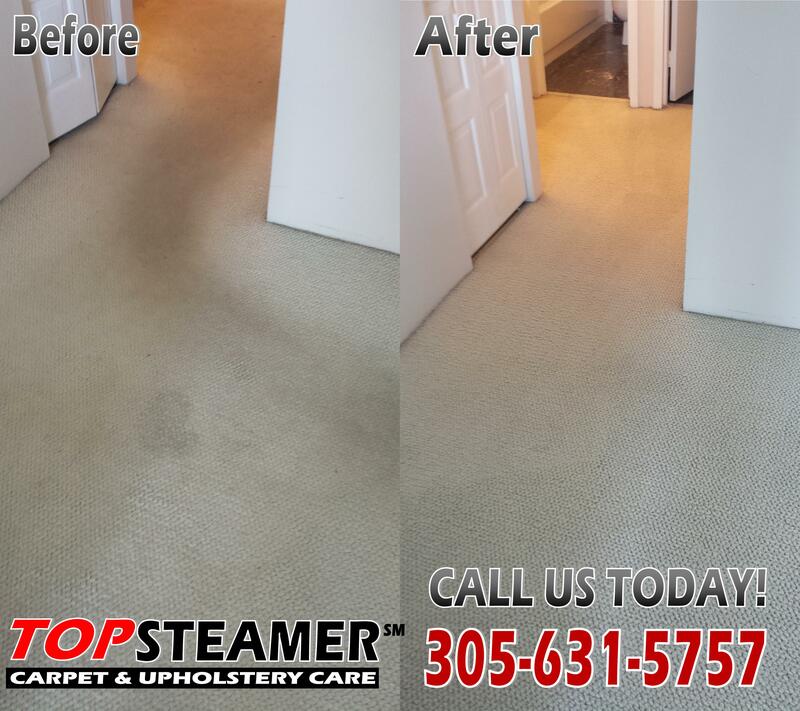 Check out this before and after picture of a carpet cleaning service we did for a customer in their Aventura FL condominium. The carpet had years with out a professional cleaning and is white color carpet so you can actually see in the before picture there is already a traffic pattern from all the walking. Before staring the cleaning we vacuumed the carpet thoroughly, after vacuuming we proceeded with a carpet pre-conditioner to loosen all embedded dirt and tackle the grey dark traffic pattern the carpet had. After ten minutes of dwell time we agitated the carpet and followed up with the cleaning of the carpet with hot water extraction method to remove all dirt and pre-conditioner from carpet.